From 19 March 2019, online merchants can start offering GrabPay as a payment method on ecommerce sites. Grab will launch two ‘Pay Later’ products, a post-paid payment service and an instalment product, that will let customers pay for goods and services slower without any additional costs. The firm also plans to launch its insurance marketplace for Southeast Asian users this April. 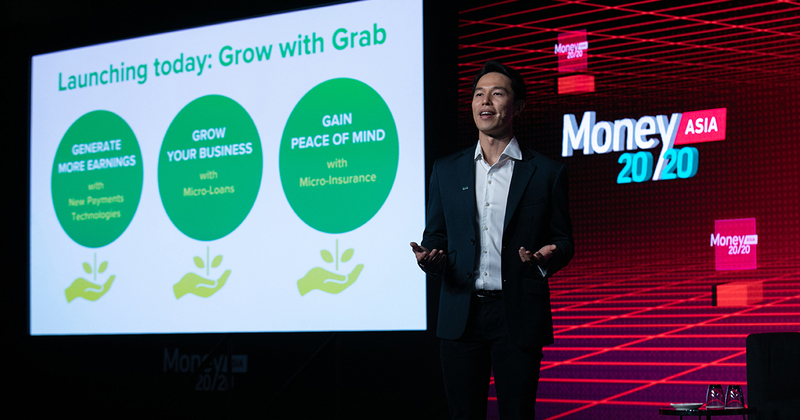 Grab Financial, the fintech arm of Grab, has built a network of over 600,000 merchants, since securing access to e-money licenses in six major ASEAN markets. Today (19 March 2019), Grab announced the launch of a new payment technology that will extend the GrabPay service to online check-out, beyond just Point-of-Sale (POS) devices at physical stores. Called ‘Pay with GrabPay’, the integration allows online sellers to start accepting GrabPay as a mobile wallet on their websites beginning from today. Major ecommerce marketplaces like Qoo10 in Singapore, and 11Street in Malaysia, are some of the first who have enabled GrabPay’s online check-out on their platforms, while other brands like Cathay Cineplexes have also signed agreements. In addition to this, Grab Financial also introduces ‘Pay Later’, which consists of two credit services aimed at consumers. The first is a post-paid payment service that will roll out in the coming weeks, with plans to then expand to other countries. Pay Later’s post-paid service will let customers pay for Grab services at the end of the month instead of right away, and incur no additional costs. It will work on a 30-day billing cycle, and will give customers a one week due date to pay after their bill has been generated at the end of each month. “This helps consumers who face exceptional expenses, but are keen to avoid being hit with higher credit card or personal loan interest payments,” says Grab. Following this will be an instalment payment product, to be launched in the next few months. It will allow customers to purchase goods immediately while they pay through an instalment spread over multiple months, at 0% interest. When it is launched, both offline and online merchants can choose to offer this option to their patrons through Grab. Pay Later instalments will be limited to purchases of up to S$500, although the amount will still differ from person to person based on their credit assessment. Instalment periods will range from two to 12 months. After entering a joint venture with Japanese financial firm Credit Saison in March 2018, Grab Financial has been providing micro-loans to its drivers, and more recently started offering working capital loans to small businesses in Singapore as well. They’re next seeking to secure lending licenses across Southeast Asia to expand their loan capabilities. The ride-hailing firm previously announced its partnership with Chinese insurtech company ZhongAn, to develop a marketplace of insurance products tailored to Southeast Asians’ lifestyle needs. Currently, Grab drivers in the Emerald Circle are “automatically covered for lost earnings due to illness and injuries”, with free medical leave and personal accident insurance. In the next few weeks, Grab plans to make its insurance policies available directly from the Grab app. On top of this, the firm will add prolonged medical leave insurance as a voluntary policy that drivers can choose to supplement their existing coverage. For drivers who are not in the Emerald Circle, and hence not eligible to be insured for free, this will let them “affordably access this insurance for the first time”. Grab also adds that its “insurance marketplace” will be launched in April 2019, and says it will “represent the most compelling insurance offering for micro-entrepreneurs in the region”, available directly from its app.